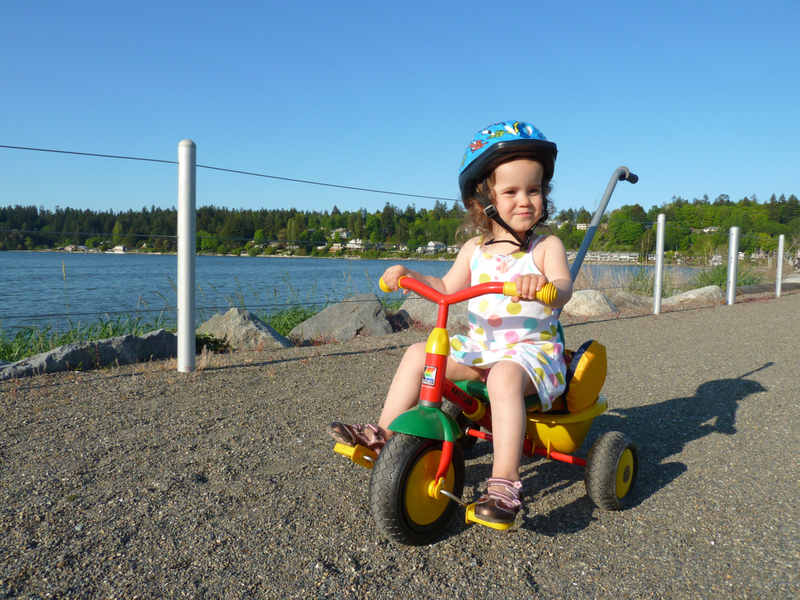 The waterfront trail along East Bay and Swantown Marina is fit for even the smallest riders. It took only a handful of minutes for each of our two daughters to learn how to ride the bikes we recently picked up via Craigslist and the Goodwill. But since we live just out of town down a gravelly dirt road, they have quickly gotten bored riding around in circles in our paved carport. At 5 and 8 years old, they are not quite ready for off-road and their father and I don’t have our own bikes yet. I set out to find the best places to take our new, cautious riders within Thurston County where they’d have the freedom to ride, yet their parents could be nearby when assistance is needed. 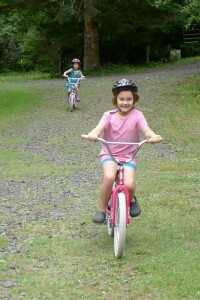 Bike riding is a staple of childhood, and getting off the pavement is even more fun. I’ve been taking my daughters to Friendly Grove for playgroups ever since they were barely sitting up and we still love it there. This great neighborhood park has a perfect loop for bike riding and even a few ramps to try for more daring riders. With picnic areas, trees, and a playground, there’s enough to do here for an entire afternoon. This park in West Olympia features 40 acres of trails, ball fields and lots of open space, so plenty of room to let the kids roam on wheels. Let them try riding on an empty ball field to get used to off-road biking. To help riders of all ages improve their skills, a new pump track is currently being built next to the skate court. A pump track is a continuous loop with berms and curves that allows riders to practice using momentum to power their bikes instead of pedaling. Once your kid is ready to head off the pavement, head to downtown Olympia for a couple of loops around the lake. This is great exercise for parents too. An added bonus is that Traditions Café is right across the street, perfect for a post-ride scoop of delicious Olympia Mountain Ice Cream. With easy parking at either the school or right off the road, this paved, wooded trail has a slight climb to give your young riders practice at some hill riding. It’s also fun to stop and read the interpretive nature signs and learn about some of the native plants in our area. This is our favorite trail in late summer as it’s lined with juicy, sweet blackberries. At the end of it, you can turn around to head back to the front of the school or you can cross the overpass to continue along the Evergreen Parkway trail. There is a huge network of paved trails around the Evergreen State College’s spacious campus, located in Northwest Olympia. Our favorite trail is along Evergreen Parkway; this flat, paved trail meanders between Evergreen Parkway and Delphi, a good safe distance from either road. It’s another perfect trail for parents to jog alongside. For the best ride with a fabulous water view, head downtown to East Bay. Easy parking can be found in the huge boat launch parking lot near the head of Marine Drive (this lot is also a good place to practice riding as it’s nearly always empty on weekdays). A flat, gravel pathway winds along the water from Anthony’s Hearthfire Grill, along the marina, and around the bottom of East Bay. The path conveniently leads right to the Hands On Children’s Museum. With plenty of bike parking it’s a great opportunity to stop in for a visit. In Lacey, head over to the Rainier Vista Community Park for more easy paved trails and plenty of other play options should your child’s legs get sore from all the peddling they’ve been doing. 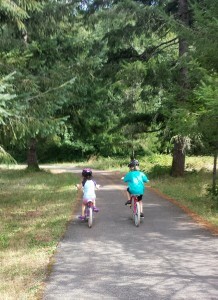 The Evergreen Parkway trail is flat and easy, perfect for beginning riders. Since both our girls are going to a new school this year, we’ve spent lots of time hanging out at their school’s playground this summer, helping them feel more familiar with the place before their first day of school. When school is out, there is plenty of room for us to bring their bikes along for a few hours of riding. I don’t doubt that when school does start, we’ll be seeing lots of their friends there too as they ride around the empty school grounds. For parents, hanging around your child’s school has the added benefit of being able to meet other parents and getting to know your child’s school community. There are certainly many more places to take your young riders for some biking practice around Thurston County. Try one of these ideas, or a new place, and leave a comment to let readers know about other great beginning riding spots. 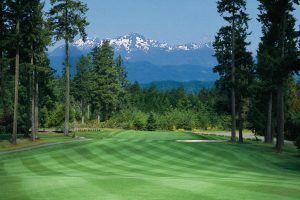 Thrifty Thurston highlights inexpensive family fun in Thurston County. The weekly series focuses on family-friendly activities throughout our community. If you have a suggestion for a post, send us a note at submit@thurstontalk.com. 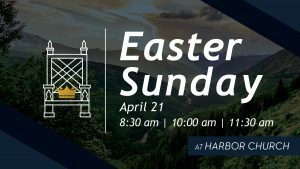 For more events and to learn what’s happening in Olympia and the surrounding area, click here.